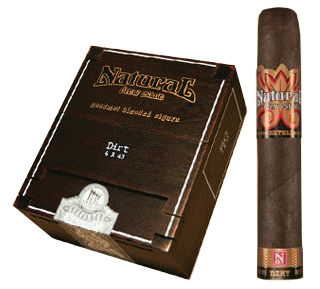 The Natural series of cigars by Drew Estate are crafted using the finest Nicaraguan leaf combined with traditional black tobaccos from Syria, Turkey, St. James Parish, and other exotic locales. One of the smallest cigars in the Natural selection is Dirt, but it is big on flavor. A mild, aromatic cigar aptly named for the midnight-black soil in Nicaragua where Dirt's maduro wrapper tobacco is grown, this unique and enjoyable cigar offers an earthy, yet sweet taste with hints of chocolate, caramel, and mocha.